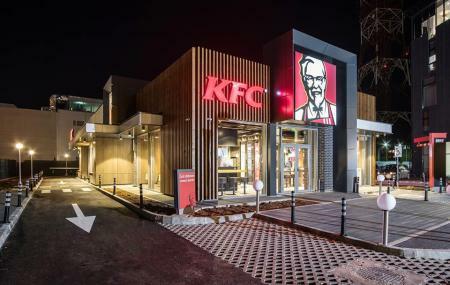 While exploring Bucuresti, Romania, if you feel the urge to grab some quick snack, you can think of visiting KFC. This world-famous fast-food chain can satisfy your hunger serving several types of delectable dishes. The bistro offers an array of food and tasty beverages. Some of the most popular items of this renowned eatery are hot wings, fries, crispy sandwich, chili cheese nuggets, crispy meltz, and double crispy sandwich. Desserts that KFC serves are noteworthy too and some of them are carrot cake, choco cookie, tart with chocolate, and ice cream sundae. You can order different types of high-quality soft drinks too. I just want to say the ice cream gave me shivers from its taste because it was so good! good if you're hungry enough. unhealthy fast food. Fast serving of the food, even if there's a long waiting line. Clean and modern place, very suitable for a small group meeting.